Compatible with PS2/PC gaming system. Vibration Feedback function lets you feel all the bumps, swerves and crashes just as in real life! 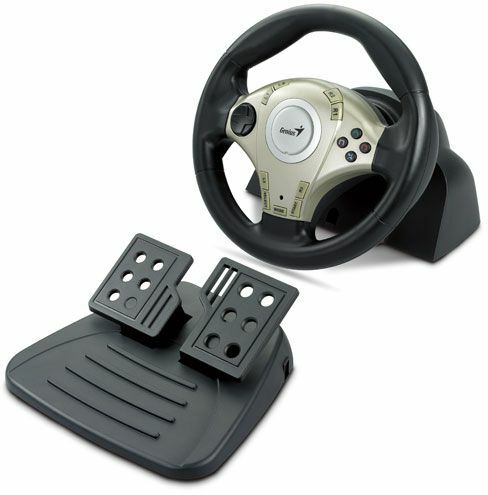 D-pad included for directional controls in action driving games. Four secondary action buttons at the front panel for horn or view change, like a real driving experience. Shift gears easily with two wheel-mounted paddles. Lap Attachment included, easy to assemble and enjoy comfortable driving from your favorite couch or chair.